Enter at the north end of the Park. Set your maps to 1799 Baker Street for parking and location. Plentiful parking on Baker and Spring Streets. Screening takes place under the Broadway bridge. Free; no tickets needed. Site available at 7:00 pm; screening starts about 8:00 pm. Filmmaker Alexandra Cuesta in person! At the end of the silent era of cinema, there was an international cycle of films that depicted the nature of the modern city. These films, known as city symphonies or film symphonies, were edited as if following a musical score. The rhythm and succession of the images were immensely important for the filmmakers. In Latin America, some of the earliest experimental films participated in this cycle of city symphonies. For example, São Paulo: a Sinfonia da Metrópole (1929), by Rodolfo Rex Lustig and Adalberto Kemeny, and Humberto Mauro’s film-poem about his home town in Minas Gerais, Brazil, Sinfonia de Cataguases (1929). Ever since those early efforts many filmmakers have maintained a fascination with the city, as Latin American cities were transformed by unfettered growth, industrialization, and massive rural to urban migrations. This FREE program offers a range of urban visions—some more celebratory, others more critical—of the architecture, daily life, public spaces, and transportation of cities such as Buenos Aires, Havana, Lima, Bogotá, Los Angeles, Santiago, and London. This video explores - in an abstract way - the motion generated by machines that "carry away" the citizens and how this machine at the same time transport the necessary energy to keep the city´s vital flow. By means of combining the inner motion of the devices (ladders, trains an elevators) with an external motion (camera movements) these ideas of motion, energy and transportation acquire a new meaning, generating a sort of vertigo and the idea of no point or direction. No insides and outsides. The margins do not exist. Constitution is an intensive burst which does not seek individuals and forms, but seeks the different speeds and slownesses. Immanence. Distributing the affects, the intensities. There is no difference in the artificial from the natural. Because, the important is to know what a body is able to afford in a way of life. Shot in Boyle Heights in East Los Angeles, this transitory neighborhood resonates with the poetry of local resident Mapkaulu Roger Nduku. Verses about endings, looking, and passing through, open up the space projected. A string of tableaux gather a portrait of place and compose a goodbye letter to an ephemeral home. Melisa Aller was born in Buenos Aires, Argentina. She studied Political Science at the University of Buenos Aires (UBA) and Filmmaking and Video at CIEVYC. She also studied with the directors Claudio Caldini and Ernesto Baca. 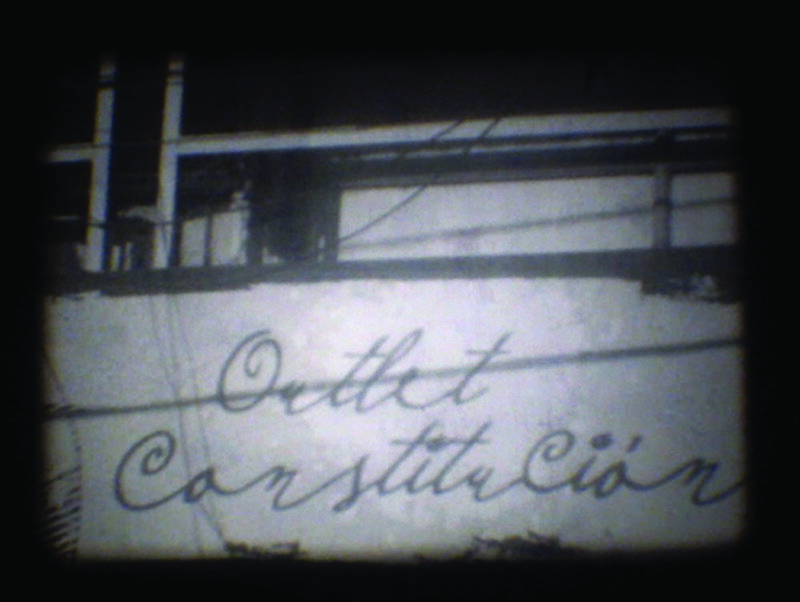 In recent years, she has been working particularly with the Super 8 format, filming and editing all on camera without any digital intervention. In 2013 she was invited to the Panorama Section of the 28th International Film Festival of Mar del Plata, which showed six of her films, and to Toma Única 2013 of Arco Iris Lab. 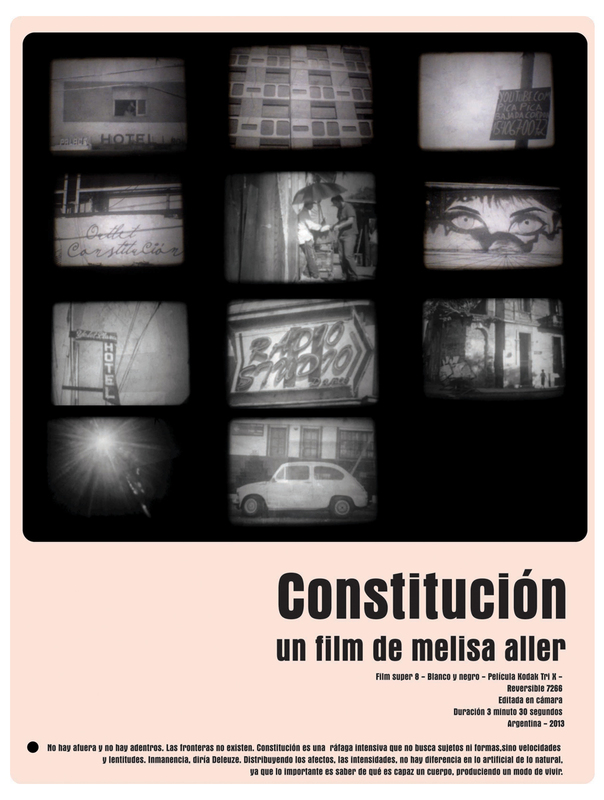 In 2014 she was selected for Proyecto Documental of the Torcuato Di Tella University. In 2015 she filmed her first feature film, Formal Decisions, about a trans girl. Her audiovisual works have been selected and awarded in festivals and exhibitions in the United States, Cuba, Puerto Rico, Spain, Poland, England, Italy, Guatemala, Colombia, México, Brazil, Colombia, Venezuela, and Argentina. She also won the fellowship Pensar con los ojos in 2015. She is currently writing her second feature film. Ism, Ism, Ism is part of Pacific Standard Time: LA/LA, a far-reaching and ambitious exploration of Latin American and Latino art in dialogue with Los Angeles. Explore more at www.ismismism.org, lafilmforum.org, and www.pacificstandardtime.org. Lead support for Ism, Ism, Ism is provided through grants from the Getty Foundation. Significant additional support comes from the Andy Warhol Foundation for Visual Arts, the National Endowment for the Arts, and the Mike Kelley Foundation for the Arts. Los Angeles Filmforum is the city’s longest-running organization dedicated to weekly screenings of experimental film, documentaries, video art, and experimental animation. 2017 is our 42nd year.